Big Fat Piggy Bank: Friends & Family Day, Friday 2/12 at Wags! Friends & Family Day, Friday 2/12 at Wags! Great News - According to Guywithcoupons on Slick Deals there will be another Friends and Family day at Wags this Friday 2/12. We should be able to print out a coupon from the Wags website tomorrow or can get it in a text message. 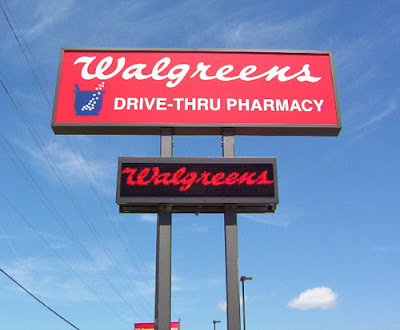 More details should be available on Facebook, Twitter and on Walgreens.com tomorrow but it looks like the usual 15% off and maybe 20% off Wags products. I'll opt to print out the coupon off the Wags website. I think I'd really confuse some of the cashiers if I just pull out my cell phone and try to show them a message. I'll let you know more when I find out more but Friday sounds like a great day to spend all those Bayer RR! It sure will help! I was excited because with 15% off the Gillette Fusion razors will be FREE after the $4 coupon in 2/7 P&G. I love FREE razors!